Saturday, February 10, Day of Service The Day of Service sponsored by The Sustainability Literacy Institute and the Center for Civic Engagement started the day in the Stern Ballroom with teambuilding and ice breaker activities before the group of teams went out into the greater Charleston area for volunteering with KCB and SCORE. The event was attended by 45 students. 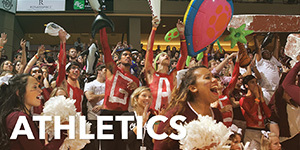 Saturday, February 10, Homecoming Homecoming at The College of Charleston is a time of reflection, forward planning, and school spirit. With these in mind, The Sustainability Literacy Institute partnered with the Student Government Association to host an event during the Homecoming celebrations. Over 200 students came together before a basketball game to celebrate CofC clubs and raise money for the Flint MI water crisis. Friday, February 16, Melody Jue The Sustainability Literacy Institute hosted renowned author Melody Jue for both a speaking engagement and a workshop focused on the knowledge of sea level rise and the potential future of water bound infrastructure. Culture, commerce, and societal traditions were the primary lens of focus when evaluating various infrastructure ideas and proposals. 15 students and faculty members attended the event. Satuday, February 24, Floodathon The Sustainability Literacy Institute was proud to host the first “Innovation Challenge” as listed in the QEP document. The event, “Floodathon”, was organized by the Innovation Fellow as a day for students to come together to address 21st Century Problems and create innovative solutions surrounding flooding and sea-level rise in the Charleston area. 30 students attended the event. Monday, February 26, M Jackson The College of Charleston First Year Experience (FYE), The College Reads, and The Sustainability Literacy Institute hosted distinguished glaciologist M Jackson to speak about her research, climate change, and host a workshop on the topics. The lecture, titles “Being Human in a Time of Climate Change” was attended by approximately 50 students and faculty. Thursday, March 8, Water Justice Procession Approximately 50 students led a march around campus to recognize Gender Equity Week and International Women’s Day. The walk concluded at the Alumni Center where a ‘teach in’ was hosted by various faculty at The College about how women have disproportionally struggled across the world. This event was supported by the College of Charleston’s Gender and Sexuality Equity Center and Sustainability Literacy Institute. Monday, March 12, Career Center Bootcamp The Sustainability Literacy Institute hosted an alumni panel to discuss how careers link with education. The three panelists broke down how to advertise environmental or sustainability related research and/or skillsets when submitting job applications among other career focused topics. After the panel session, the panelists were available for resume reviews and short discussions. The event was attended by 15-20 students. Wednesday, March 14, Drew Lanham Renowned Ornithologist and social activist Drew Lanham was hosted by The Sustainability Literacy Institute at the Addlestone Library to discuss the relation of people to the earth and sense of place. The lecture was attended by 15-20 students and faculty. March 18-March 26, Alternative Spring Break The mission of Alternative Break is to empower students to progress from members of their community to active citizens through social issue focused education, direct service and reflection. Alternative Break at the College of Charleston hosts approximately 10-14 domestic and international service immersion trips each year engaging over 100 students in direct service and intentional reflection during the academic breaks. 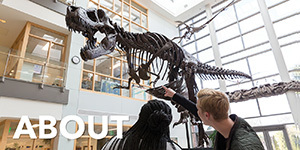 Alternative Break is affiliated with Break Away®, a national nonprofit organization, which provides a curriculum and network for over 100 affiliate schools and more than 400 nonprofit community partners. Tuesday, March 27, Lawrence Bloom Lawrence Bloom, first Chairman of the World Economic Forum and former Chairman of the UN Environmental Program was hosted by The Sustainability Literacy Institute to give a lecture about how businesses can be more successful if they are more sustainable. The event “Water Quality and Access: ‘How do we affect the Cause, Rather than Cause the Effect’” was held in the Wells Fargo Auditorium and was attended by over 40 students. Wednesday, March 28, Enemy of the State The Sustainability Literacy Institute assisted the Department of Theater and Dance with sponsorship of a theater production linked to the year’s theme ‘Water Quality and Water Quality”. The theater production was about the crisis that can arise when water is privatized and was attended by over 300 students, faculty, and staff. Wednesday, March 28, Rain Barrel Installation Kim Counts-Morganello from Clemson Extension assisted in process; private event due to recommendation by Kim. Smaller numbers were able to gain better understanding of process. A small number of students (12) were able to attend a workshop on how to install a rain barrel. The event was a compilation of earlier efforts to construct the rain barrel by The Office of Sustainability and Sustainability Literacy Institute. Wednesday, April 4, Is Water a Race-Based Issue? Approximately 40 students attended ‘WaterIsLife Is Water Quality A Race-Based Issue’ lecture provided by Dr. David E. Rivers, Commissioner and Vice-Chairman of Charleston Water Systems. After the lecture, attendees were invited to view the art gallery containing student work produced for the lecture exhibit. Wednesday, April 4, Alastair McIntosh The Sustainability Literacy Institute hosted Dr. Alastair McIntosh who gave a lecture on “Working with Intergenerational Trauma: From Scotland’s Clearances to Donald Trump”. The event was attended by approximately 30 students across ANTH, URST, WGST, ENSS, MES, and GEO degree and/or minor programs. Monday, August 21, Convocation The College's annual Convocation welcomes new students to the liberal arts and sciences community and encourages them to consider their own intellectual journey. Students who participate will meet in small groups that will be led by a faculty member. They'll discuss aspects of The Big Thirst, the College Reads book written by Charles Fishman, which examines important issues regarding access to clean water. Water, Quality and Quantity is the theme that has been chosen for the coming year's CofC Sustain/Solves program. Thursday, August 24, Sustainability Boot Camp In Robert Scott Small (room 235) at 4:30 p.m., join faculty from the Sustainability Literacy Institute and like-minded students to learn more about sustainability literacy and how to live sustainably on campus and elsewhere. We'll help you take a look at your ecological footprint, and you can talk with others about how to make positive changes. You'll also get a quick introduction to some of the sustainability-focused courses, events, activities and clubs/organizations that you could plug into to start living more sustainably. Thursday, August 31 Come celebrate SustainFest! Open to students, faculty and staff at the College, this fun and informative event will start at 6:00 p.m. at Sottile Theatre. Come hear First Nations activist and author Clayton Thomas-Muller speak about "Indigenous perspectives on protecting the sacredness of water in the Climate Justice Movement." His talk will be followed with a rousing performance by Sol Driven Train, longtime Charleston area band. Help us kick off the academic year in fine form with some brass kickin' roots rock. All you need to get in is your CofC ID. Thursday, August 31 The Black Student Union is hosting a discussion entitled "CofC vs. White Supremacy." This event, sponsored by the National Panhellenic Council, the Office of Institutional Diversity and the Office of Multicultural Student Programs and Services will take place in Robert Scott Small, room 235 at 6:00 p.m.
Friday, September 4 The College of Charleston's Annual Labor Day Celebration, 3:00 to 5:00 p.m at the Education Alumni Center (86 Wentworth St.) "Work on the Water: From Subsistence to Solidarity" will be a panel discussion featuring representatives from Charleston's Gullah Geechee Fishing Association, the International Longshoremen's Association, the South Carolina Aquarium and the Charleston Alliance for Fair Employment. Come hear a lively discussion. Refreshments will be served. Thursday and Friday, September 14 and 15 Teaching sustainability literacy workshop. How can you teach sustainability literacy using Charleston as a campus? How can you adopt place-based pedagogical practices into your existing classes? Answers to these and other questions will be provided at this faculty-focused workshop led by religious studies professor Bobbi Patterson of Emory University. These trainings are free and will be hosted by the Sustainability Literacy Institute and will be held on September 14 (3:00 to 5:00 p.m.) and 15 (9:00 to 11:00 a.m.) in the Stern Center Ballroom. The trainings will include discussion and activities held individually and in small groups. Participants should come prepared to discuss a specific unit of an existing or proposed course that involves some type of place-based engagement on campus or in the surrounding community. 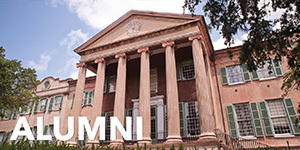 For additional information, contact SLI director Todd LeVasseur levasseurtj@cofc.edu. Friday, September 22 and Saturday, September 23 The Promise of Environmental Markets Come hear Professor Gary Libecap from the University of California at Santa Barbara speak about the role of environmental markets and whether there might be a more effective approach to resource conservation and environmenal protection. This event is free and open to the public. It is sponsored by the College's Center for Publix Choice and Market Process. The talk will take place at 5:45 p.m in Wells Fargo Auditorium in the Beatty Center. Friday, September 22 Building Bridges, Coming Together for a Collective Impact. The Office of Institutional Diversity has partnered with the Office of Mulitcultural Student Programs and Services and the organization Save More Kids to host an evening of poetry (by CofC alumnus Matt Foley) and music (by The Zandrina Dunning Experience) at the Halsey Institute of Contemporary Art at 5:30 p.m. This event is free and open to students, faculty, staff and the Charleston community. Heavy hors d'oeuvres and dessert will be served and donations to Save More Kids will be encouraged. Tuesday, September 26 Inequity for All. Come watch the important documentary by American political economist, author, professor and former Secretary of Labor Robert Reich in Addlestone Library (room 227) at 4;45 p.m. This showing is sponsored by the CofC Vegan Club and Faculty for Compassionate and Sustainable Living. Wednesday, September 27 "Let’s All Move to Charleston Just in Time for the Deluge: The Moral Hazard of US Coastal Policy." Come hear Dr. Rob Young, a coastal geologist and long-time critic of the current approach to US coastal management, speak about the need for a new approach to managing our nation’s shorelines in light of the desire for continued development and the inevitability of long-term sea-level rise. This event, which is free and open to the public, will take place in the auditorium classroom on the first floor of the School of Sciences and Mathematics Building beginning at 6:30 p.m. It is co-sponsored by the SLI and the Center for Coastal Environmental and Human Health. Thursday, September 28 The College's Gender and Sexuality Equity Center will co-host a Reproductive Justice Workshop along with Planned Parenthood at 5:00 p.m. at the Multicultural Center on campus. 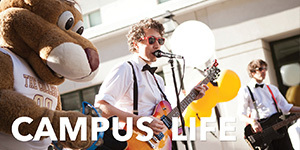 This event contributes to the Weeks of Welcome events intended to engage students early in the academic year. The workshop will focus on the power of intersectionality in the fight for reproductive justice. Open to students, faculty and staff, this event will provide the opportunigty to learn, discuss, take action, and enjoy free food! The event precedes the College's 9th Annual No Violence - No Victims Candlelight Vigil which will take place afterward in the Cistern Yard. Thursday, October 12 Art Matters: Expressions of Sustainability Literacy Come see an installation by Charleston artist and CofC alumnus John Duckworth, entitled "Wade in the Water" at the Addlestone Library (second floor). Duckworth will offer a talk about his installation that afternoon at 5:00 p.m. in Addlestone 227, followed by a reception. He will be joined by three student artists – Chloe Hogan, Reagan Hembree and Ayla White – whose respective works will also be on display as part of "Wade in the Water." These students' work was chosen by a panel of faculty and staff as the winning entries in the student art exhibit competition for the QEP. October 9, 23, 30 and November 6 African American Studies Program's Fall Film Festival "The Whiteness of Whiteness: White Supremacy and White Liberal Complicity" is the title of the African-American Studies Program's Fall Film Festival. The films, to be shown on the foregoing dates listed above are collectively intended to explore various aspects of white liberal complicity in white supremacy. Each film screening will be followed by a brief discussion led by a College of Charleston faculty member. The screenings are free and open to the public. All showings will be in Maybank 100, starting at 6:00 p.m. Popcorn and sodas will be provided. Friday, October 20 Structural Racism: Insight from Recent Research. Join Dr. Hoda Mahmoudi, the Baha'i Chair for World Peace, who will be visiting the College to connect with students and faculty who are interested in understanding and ameliorating the debilitating forces of racism that impact efforts for peace. This brown bag lunch (12:00 to 1:00 p.m. in the School of Education, Health and Human Performance's Alumni Center) will first feature Mahmoud describing her current research on structural racism, followed by an informal discussion regarding how this issue impacts the College and its surrounding community. 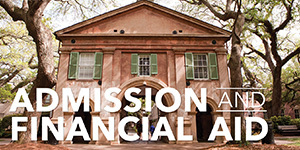 For additional information, contact Bonnie Springer (springerb@cofc.edu; 843.953.8048). Sponsored by the Center for Partnerships to Improve Education and the College of Charleston Baha'i Club. Friday, October 20 Art Workshop The SLI will host a free workshop with renowned artist and activist Aurora Robson, whose work will be on exhibit at the Halsey Institute of Contemporary Art as part of SEA CHANGE. This workshop, which will take place from 3:30 to 5:00 in the Simons Center, room 309, is aimed toward students in getting them to focus on how to make a living as an artist (any type of artist) while being committed to producing art that speaks to social, economic, and environmental sustainability issues. Friday, October 20 SEA CHANGE Come see the opening of one of the College's most important art shows. Sculptress Aurora Robson and photographer-filmmaker Chris Jordan's works will be on display in the Halsey Institute of Contemporary Art until Dec. 9. There are numerous affiliated events that will be taking place during this time. For a full schedule, see the Halsey's website. Tuesday, October 24 Social Justice Coffee Hour Come hear about natural disasters and social resilience, at the School of Education, Health and Human Performance's Alumni Center from 1:45 to 3:00 p.m. A panel of experts will speak on the connection between natural disasters and community resilience and what can make a community more resilient. Historic preservation professor Barry Stiefel, the SLI's Student Engagement Fellow, will be joined by professor Matt Nowlin from the political science department and Kelly Thorvalson, the conservation program manager from the South Carolina Aquarium. Each panelist will speak for roughly five minutes, then a moderator will ask the panel a series of questions. After that, the floor will be opened to questions from the audience. During 2016, a number of important events took place at the College. During the summer, renowned sustainability scholar and activist David Orr of Oberlin College (see bio below) came to campus for a private meeting with President McConnell and a select group of invited guests. On Friday, August 26, visual artist Fahamu Pecou opened his solo show at the Halsey Institute of Contemporary Art ("DO or DIE: Affect, Ritual and Resistance"). Pecou's work pertains to the state of being Black in the U.S., and his show runs through Oct. 8. On Thurs., September 22 from 3:00 to 4:00 p.m. The Triple Bottom Line. If you're wondering what is sustainability, a panel discussion on the Triple Bottom Line will help answer that. The panel will feature Seth Pritchard and Deb Bidwell from the Department of Biology, Anthony Green from sociology, Kristi Brian from Women's and Gender Studies, and Elise Perrault and Stuart Williams from the School of Business. Each faculty member will offer a brief presentation on an aspect of the Triple Bottom Line and how it pertains to the College's QEP: Sustianability Literacy as a Bridge to Addressing 21st-Century Problems. The panel discussion will take place in Wells Fargo Auditorium in the School of Business and is open to all campus community members. On Friday, September 23 from 3:15 to 4:45 p.m., the Faculty for Compassionate and Sustainable Living Workshops (FCSL) begin. The first workshop will focus on Personal Change. Workshop organizer Jen Wright from the Department of Psychology says "As faculty, we are all role models to our students of what a well-lived life looks like." Thus, this workshop series will begin with participants and leaders identifying ways that each can make positive changes in their lives connected to the workshop topic. This will involve a personal pledge on the part of every member of the FCSL group to make at least one issue-relevant change over the course of the year. The group as a whole will function as a support system to help make these transitions easier and more enjoyable. And the FCSL directors will work with other campus organizations and student groups to coordinate helpful “how-to/do-it-yourself” sessions to further support those changes identified by the group. Find out more at: http://fye.cofc.edu/faculty-development/fcsl.php. On Tuesday, Sept. 27 from 5:00 to 7:00 at Addlestone Library (room 227), come see the groundbreaking documentary "Cowspiracy." Follow intrepid filmmaker Kip Andersen as he reveals the innerworkings of one of the most destructive industries on the planet today. (The film will be shown again on Thursday, October 13; also in room 227 of Addleston Library; 7:00 to 9:00 p.m.) These showings, which are open to the public and free, are being presented jointly by the College's Vegan Club, Charleston's Veggies & Vegans, and Faculty for Compassionate and Sustainable Living. On Wed., September 28, Bryan Caplan from George Mason University will offer a talk entitled "A Radical Case for Open Borders" at Wells Fargo Auditorium in the School of Business at 6:00 p.m. Caplan has published a number of articles on immigration and open border policy. He is also the author of "The Myth of the Rational Voter: Why Democracies Choose Bad Policies." This lecture is sponsored by the College's Center for Public Choice and Market Process. On Fri., September 30, William “Bill” Throop of Green Mountain College (see bio below), will be on campus to offer faculty training sessions in sustainability literacy. All faculty members are invited and encouraged to attend either the morning session (9:00 a.m. to noon) or the afternoon session (1:00 to 4:00 p.m.) in the Stern Center ballroom. For additional information, contact Todd LeVasseur, Director Quality Enhancement Plan levasseurtj@cofc.edu or 843.953.3911. On Mon., October 24, author Anand Giridharadas will visit campus to offer a talk about his book, "The True American: Murder and Mercy in Texas." (Giridharadas' book was chosen for The College Reads Program this year.) He will be accompanied by Raisuddin Bhuiyan, whose experiences in post-911 Texas are the subject of this book. The lecture will take place at 7:00 p.m. at the Sottile Theatre. The presentation will be open to students, faculty, staff and the Charleston community. Giridharadas will also speak to several classes at the College. Hunger and Homelessness Awareness Week (Nov. 12-20) – A national week of awareness organized by the National Coalition for the Homeless and the National Student Campaign Against Hunger and Homelessness. Throughout the week before Thanksgiving, students, faculty and staff will have the opportunity to take part in a series of events and activities that shed light on this pressing social issue. For additional information, contact the Center for Civic Engagement. Sustainability and the Humanities (February 1, 2017) – Dr. April Merleaux of Florida International University will visit the Department of History to facilitate a discussion of sustainability and the humanities. This forum, which is open to faculty and staff, will take place at noon (as a brown bag lunch) in Addlestone Library room 227. That same afternoon from 3:30 to 4:30 p.m., she will offer a lecture entitled "The Environmental History of the Sugar Tariff." The lecture will take place in Alumni Center in the School of Education, Health and Human Performance. This lecture is open to the public. Green Germany (February 3, 2017) – If you're up for an early morning lecture, and you're interested in the progress that Germany has made regarding sustainability on so many fronts, come hear Dr. Robin Mishra speak at Wells Fargo Auditorium at 9:00 a.m. His talk, "Green Germany," will focus not just on the progress made to date, but also on the German government's ambitious plans for the future. Dr. Mishra is Minister-Counselor, Head of Section Science and Technology at the German Embassy. David Orr is arguably the leading sustainability scholar in North America and has been instrumental in developing exciting initiatives at Oberlin College, and between the college and the town of Oberlin. Orr wrote one of the first books on sustainability (Ecological Literacy, 1992), which helped generate the context for the emergence of sustainability in higher education. He is currently the Paul Sears Distinguished Professor of Environmental Studies and Politics as well as Special Assistant to the President of Oberlin College. In the latter role, he dialogues with the President about “full-spectrum sustainability” based on the Oberlin Project that he helped to start. His standing as the leading voice for sustainability in higher education makes him a perfect off-campus consultant to offer workshops and trainings and answer critical questions about sustainability literacy. Bill Throop is Professor of Philosophy and Environmental Studies at Green Mountain College and was instrumental in developing general education and distribution requirements so that Green Mountain College became the country’s first Environmental Liberal Arts College based on campuswide sustainability-themed learning outcomes. He has served as Provost and Vice President of Academic Affairs at that institution, where he was charged with implementing sustainability initiatives across the campus. His administrative background, coupled with his years of cultivating faculty expertise around sustainability literacy, makes him an outstanding candidate to offer training workshops on how to generate and embed sustainability in classes at the College. 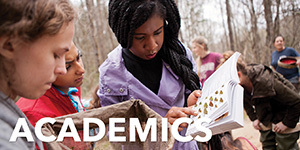 Generating more sustainability-centered and sustainability-related courses at the College of Charleston is an important goal and a requirement of the QEP. If you are a member of the faculty, please plan to attend in the training sessions that Throop will offer on September 30th. April Merleaux is a professor of history at Florida International University. Her research focuses on the 20th century U.S. in international context. She studies the intersections between cultural studies and political economy and is particularly interested in race, environment and power. Her book, Sugar and Civilization: American Empire and the Cultural Politics of Sweetness, was published by the University of North Carolina Press in 2015. The book tells the story of sugar from the Spanish American War through the New Deal of the 1930s, describing how workers and consumers in multiple locations came to eat so much sugar. The cultural logic connecting imperial, trade, and immigration policies was the same one that facilitated new habits of sugar consumption within the U.S. and its territories. Merleaux is currently conducting research on the environmental history of the War on Drugs in the U.S. and Latin America from the 1920s through the 1980s and exploring the agrarian origins of drug prohibition.